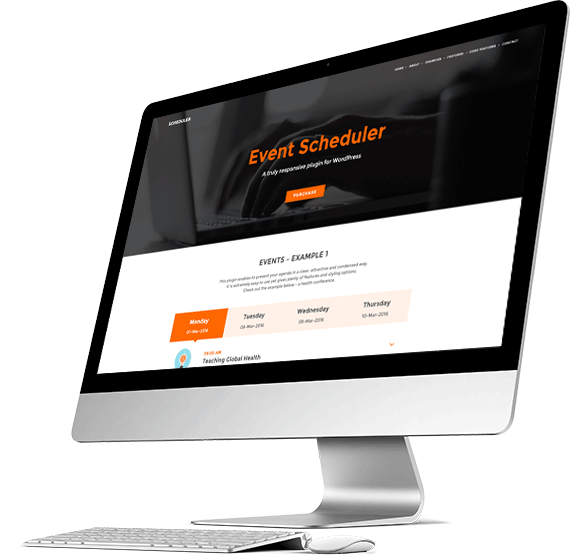 Event Scheduler makes it easy to combine all the data describing an event in one compact form. Our plugin is fully responsive. On tablets and smarftones it takes a form of an accordion. You can change color, use image or svg icon, choose image shapes, line styles, date format, add authors and social media links. The plugin is very intuitive and easy to use. The plugin can have plenty of applications – conferences, festivals, trainings, meetings, timetables, bill of fare, etc. We provide installation instruction and user guide. If you have any questions, contact us via the contact form on our profile page.